I wish I’d documented the old-fashioned menu board at Juanita’s, the popular burrito stand on South Indian Hill Boulevard in Pomona. Because after years of letters attached to boards that spelled out every possible combination, the eatery has put up relatively glitzy, and much simpler, menu boards that mimic ones at the Ontario and Rancho Cucamonga locations. 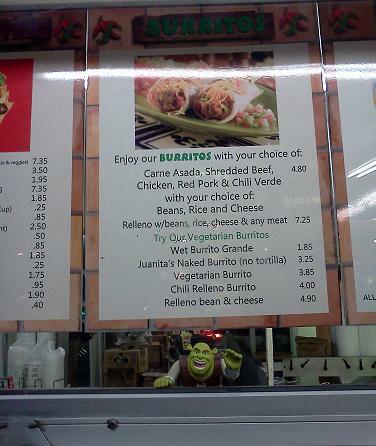 Naturally, Juanita’s has its quirks. Like a student trying to pad a book report, the menu details every conceivable variation on its burritos and tacos, sending the combinations sprawling across three menu boards. Later they added “Meat cheese.” Who says I’m not having an impact? I haven’t found a good image of the old boards, but you can get a glimpse of them in the photo up top, which I found on FourSquare. The woman is obscuring the third menu board. The photo above is of the new board. As noted in Sunday’s column, I’m on a break this week. No columns, and no Restaurant of the Week, but occasional posts here. Right now I’m headed to the Metrolink station to meet a friend for lunch at the Nickel Diner in downtown LA. 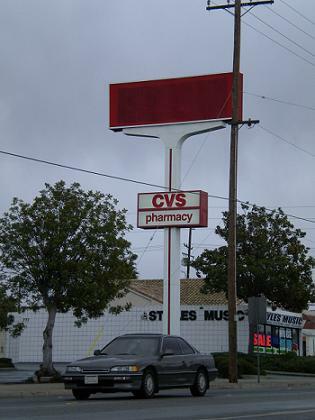 I didn’t know the Staples at Foothill and Towne in Pomona had closed until noticing the shopping center had, er, thoughtfully painted out the store’s name on the pole sign with red paint. Did the office products store give itself a pink slip? Did the landlord employ a giant Staples remover? Insert your own lame jokes below. 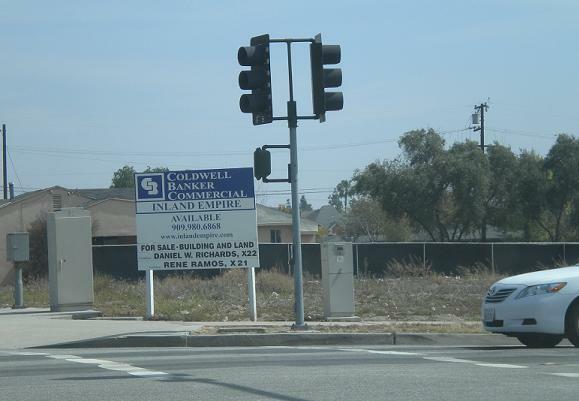 This empty lot on the southeast corner of Arrow Route and Central Avenue in Upland has a familiar name among the brokers. Suggest your favorite ironic use for the piece of property. Mine’s in the headline. Sunday’s column (read it here) is the last of my vacation chronicles. 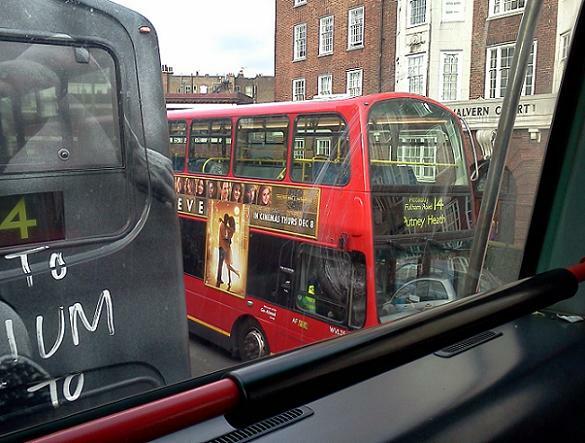 It’s about navigating London and Paris on foot and by bus, subway and train. I thought the topic might be of interest since it’s so different from how most of us get around in Southern California. Above is a photo of a “Mind the Gap” pavement warning from a London Tube stop and two videos that include a “Mind the gap” announcement: one with the male “voice of God,” the other with the gentler feminine version. 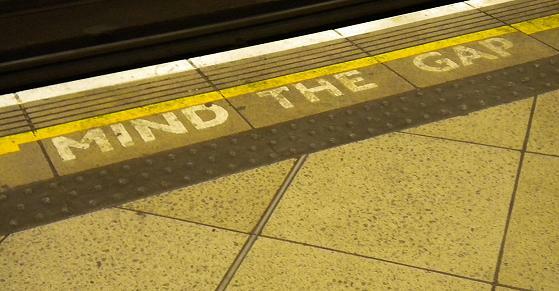 If you’d like to know more, Wikipedia has a page devoted to “Mind the gap.” What a wondrous world we live in. 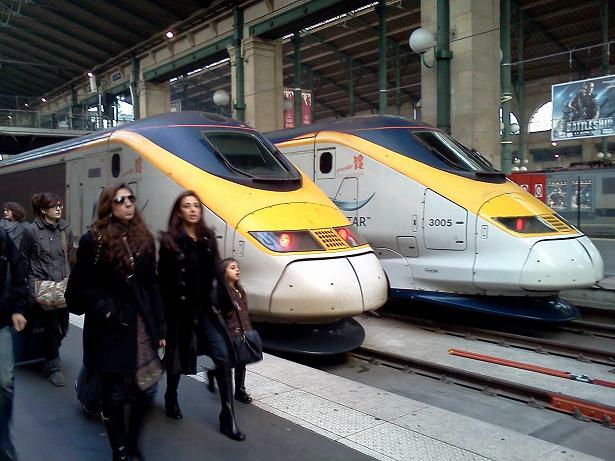 Below are photos of three things referenced in my column: the handy crosswalk reminders of which direction to look in London; a double-decker bus (seen, self-referentially, from the window of a double-decker bus); and two Eurostar bullet trains in a Paris train station. The latter might be in California’s future. Or not. Friday’s column (read it here) is about the food at the Fontana racetrack. 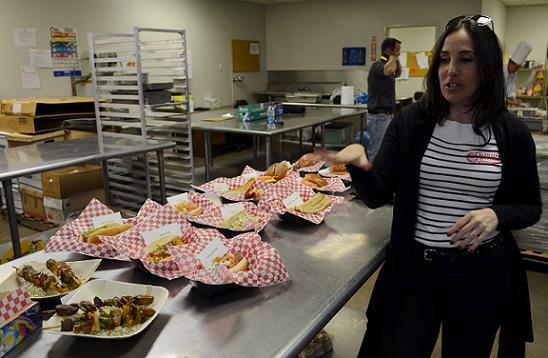 I participated in a taste test that wasn’t quite what I was expecting but was probably more enjoyable than anything else I’d have come up with to do Thursday (like Upland’s state of the city event). And click here for an embarrassing, but blessedly short, video of me eating a sandwich. Sforza sprung the idea on me and started filming. I focused on chewing with my mouth closed. There are reasons I’m a print journalist. 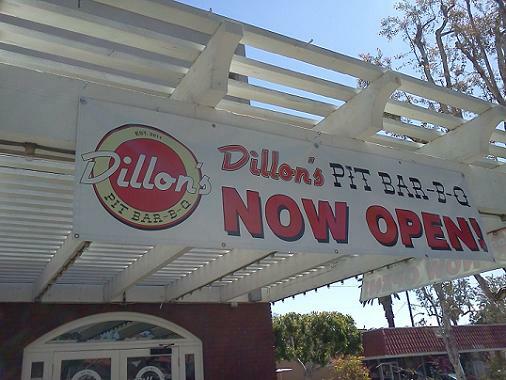 Dillon’s opened in 2011 in downtown La Verne in the former Phoenix Garden space fronting a minimall, with several businesses in a shared space. There’s a patio in front and spacious seating inside, with exposed brick, a high ceiling with exposed pipes and red-checked tablecloths. A friend and I stopped in for lunch the other day. You order at the counter and they bring your food to you. I got a pulled pork sandwich with a side of cole slaw and a soda ($7.75) and my friend had a sausage sandwich with a side of mac and cheese and a bottle of water (same price). It was a mixed verdict. 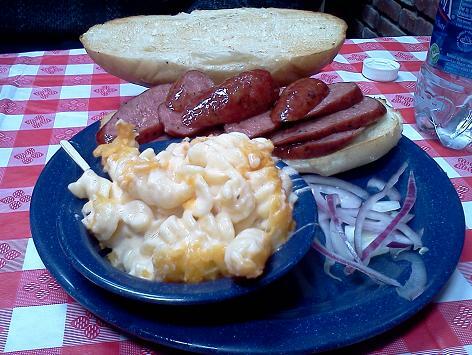 The sausage was deemed “okay,” the mac and cheese very good. 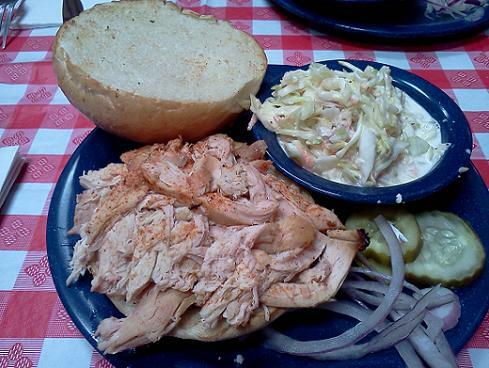 Meanwhile, when the server (who had also taken my order) brought my sandwich, she said, “here’s your pulled chicken sandwich.” Chicken? I looked at my receipt, because as a soft-spoken fellow I might have been misunderstood, but no, they had recorded my pulled pork sandwich properly. Whatever, I ate it. The bun was better than average, the chicken was on the dry side, and there was a bone (crunch). Well, the cole slaw was pretty good. This was just an experience from one meal. Dillon’s might be better than this. 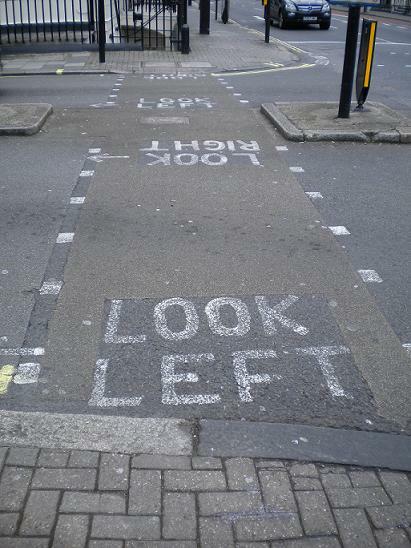 If I lived or worked downtown, I might give them another try. But since I don’t, I probably won’t. Plenty of times when something has changed around the valley I’ve wished I had a photo of the “before” look for comparison’s sake. 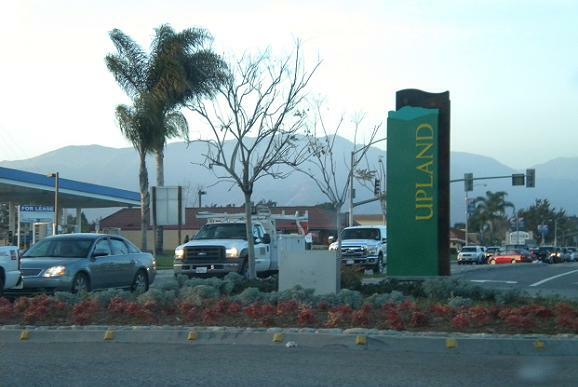 In this case, finally, I do: the landscaping on the median island on Mountain Avenue just above the 10 Freeway. Above is the new photo, shot last week, after the landscaping was redone. Below is a photo shot in December that includes the old shrubs and trees. I don’t have one with the old city monument, the one with the U logo, but you can’t have everything. I’ve presented photographs of a few random objects found on the asphalt of Pomona, including a playing card. 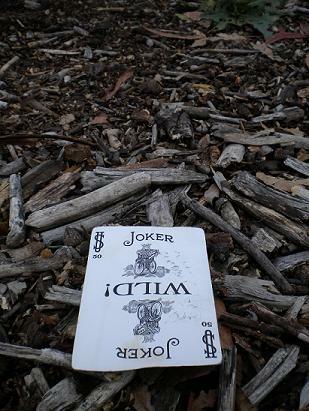 Well, I was walking in Claremont the other day along the woodchip-strewn path fronting the field station when what did I see but a different playing card. Fifty more to go! As for the fellow on the card, some people call him Maurice. 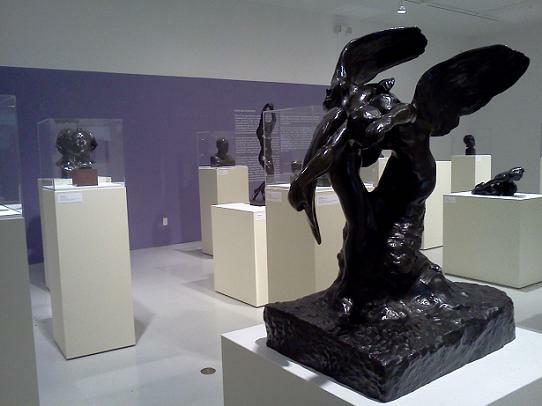 Wednesday’s column (read it here) is about an exhibit of Auguste Rodin sculptures at the University of La Verne’s Harris Art Gallery. No big deal. Where else would you expect to see a famed Frenchman’s art other than La Verne? Pff. Anyway, I had to check out the exhibit and couldn’t resist having some just-back-from-France fun with the whole thing. For more about the exhibit, click here.